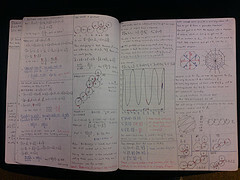 How good are you at drawing circles? To find out, try this circle drawing challenge. There are adorable cat pictures for prizes! What’s the best score you can get? And hey—what’s the worst score you can get? And how is your score determined? Well, no matter how long the path you draw is, using that length to make a circle would surround the most area. How close your shape gets to that maximum area determines your score. Do you think this is a good way to measure how circular a shape is? Can you think of a different way? Dido, Founder and Queen of Carthage. This idea that a circle is the shape that has the biggest area for a fixed perimeter reminds me of the story of Dido and her famous problem. You can find a retelling of it at Mathematica Ludibunda, a charming website that’s home to all sorts of mathematical stories and puzzles. The whole site is written in the voice of Rapunzel, but there’s a team of authors behind it all. Dido’s story in particular was written by a girl named Christa. Next up is squaring and the incredible Squaring.Net. The site is run by Stuart Anderson, who works at the Reserve Bank of Australia and lives in Sydney. 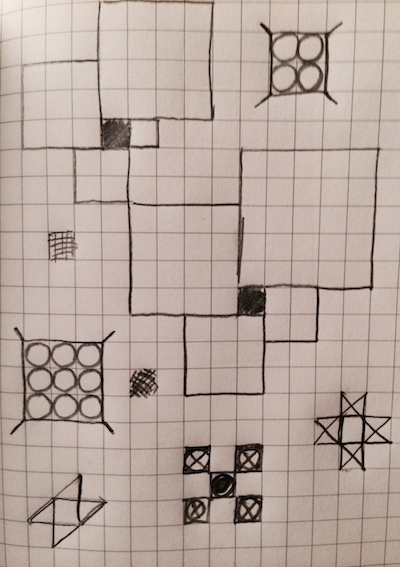 The site gathers together all of the research that’s been done about breaking up squares and rectangles into squares. It’s both a gallery and an encyclopedia. I love getting to look at the timelines of discovery—to see the progress that’s been made over time and how new things have been discovered even this year! Just within the last month or so, Stuart and Lorenz Milla used computers to show that there are 20566 simple perfect squared squares of order 30. Squaring.Net also has a wonderful links page that can connect you to more information about the history of squaring, as well as some of the delightful mathematical art that the subject has inspired. Last up this week is triangulating. There are lots of ways to chop up a shape into triangles, and so I’ll focus on one particular way known as a Delaunay triangulation. To make one, scatter some points on the plane. Then connect them up into triangles so that each triangle fits snugly into a circle that contains none of the scattered points. Fun Fact #1: Delaunay triangulations are named for the Soviet mathematician Boris Delaunay. What else is named for him? A mountain! That’s because Boris was a world-class mountain climber. 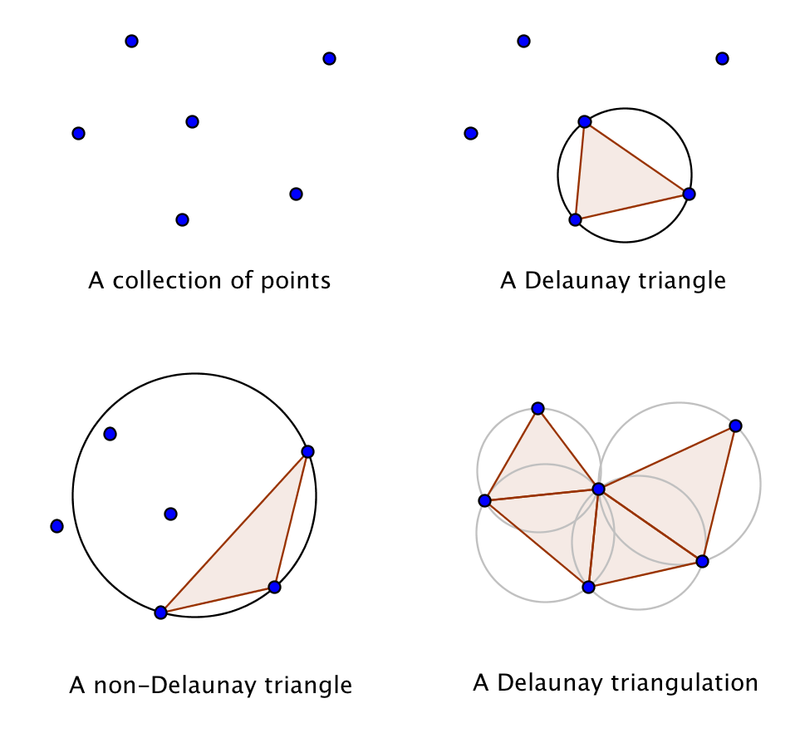 Fun Fact #2: The idea of Delaunay triangulations has been rediscovered many times and is useful in fields as diverse as computer animation and engineering. Here are two uses of Delaunay triangulations I’d like to share with you. The first comes from the work of Zachary Forest Johnson, a cartographer who shares his work at indiemaps.com. You can check out a Delaunay triangulation applet that he made and read some background about this Delaunay idea here. To see how Zach uses these triangulations in his map-making, you’ve gotta check out the sequence of images on this page. It’s incredible how just a scattering of local temperature measurements can be extended to one of those full-color national temperature maps. So cool! A Delaunay triangulation used to help create a weather map. Finally, take a look at these images that Jonathan Puckey created. Jonathan is a graphic artist who lives in Amsterdam and shares his work on his website. In 2008 he invented a graphical process that uses Delaunay triangulations and color averaging to create abstractions of images. 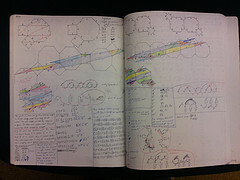 You can see more of Jonathan’s Delaunay images here. I hope you find something to enjoy in these circles, squares, and triangles. Bon appetit! After a few weeks off, we’re back with some exciting things to share. First up is Futility Closet, a blog featuring “an idler’s miscellany of compendious amusements.” The blog is full of big-worded phrases like that, but I most love the puzzles they often post – everything from chess to numbers, codes, and devilish word play. I also love that the name of the person who wrote each puzzle accompanies it. Take a look at the few I’ve posted below and click here for the full list of puzzles. Here’s a puzzle called Swine Wave, by Lewis Carroll. The puzzle: Lace 24 pigs in these sties so that, no matter how many times one circles the sties, he always find that the number in each sty is closer to 10 than the number in the previous one. Want to know the solution? Click on the image above to visit Futility Closet. This puzzle is called Project Management, by Paul Vaderlind. The question: If a blacksmith requires five minutes to put on a horseshoe, can eight blacksmiths shoe 10 horses in less than half an hour? The catch: A horse can stand on three legs, but not on two. Click on the image to visit Futility Closet for the solution! Well, the recently released movie Flatland 2: Sphereland deals with precisely that issue. The Math Munch team had the opportunity to preview this movie, and we loved it. In Sphereland, the granddaughter of the Square from Flatland, Hex, and her friend Puncto try to understand some mysterious triangles that Puncto thinks will cause the disastrous end of a space exploration mission and go on an adventure to help their three-dimensional friend Spherius with a problem he brought back from the fourth dimension. 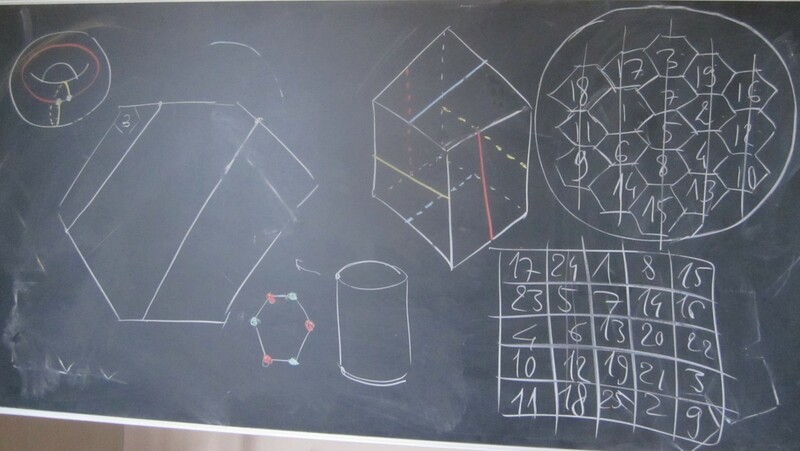 Higher dimensions can be very difficult to wrap your head around. This movie does a great job of helping the movie-watcher to understand how higher and lower dimensions relate to each other through the plot twists and challenges that the characters face. 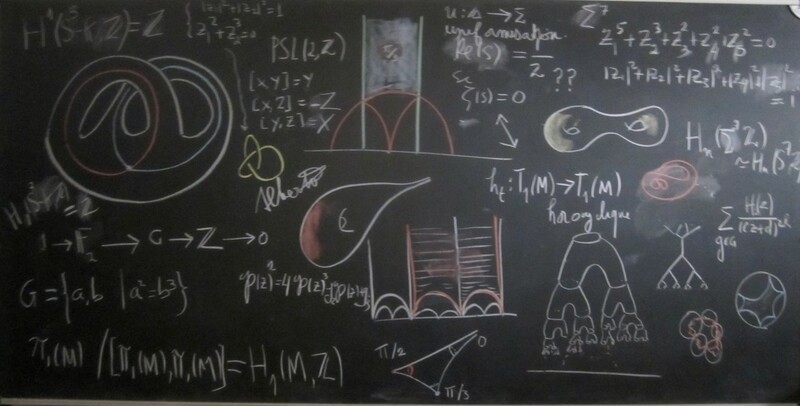 You can really learn a lot about dimensions and the shape of space by watching this movie. Plus, the characters are engaging and the images are fun. Sphereland features the voices of a number of really great actors, including Kristen Bell, Danny Pudi, Michael York, and Danica McKellar. By the way, the makers of Sphereland also made a movie of Flatland! The Math Munch team loved that one, too. Here’s a link to the trailer. 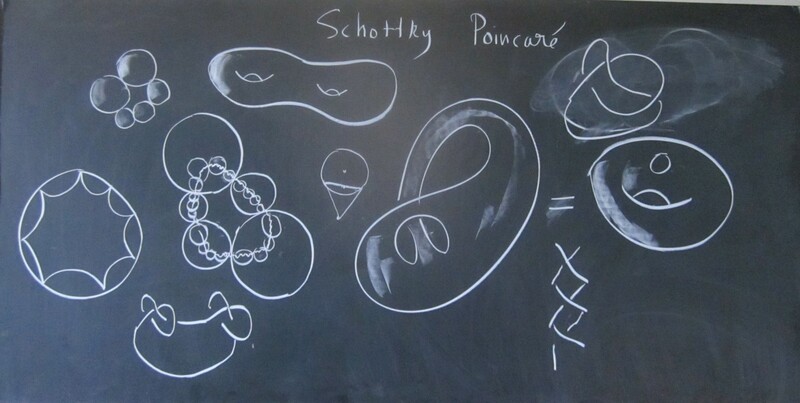 Doodling mathematically is one of the ways that Chloé does math and shares what she loves about it with the world. She’s a trigonometry student, too. 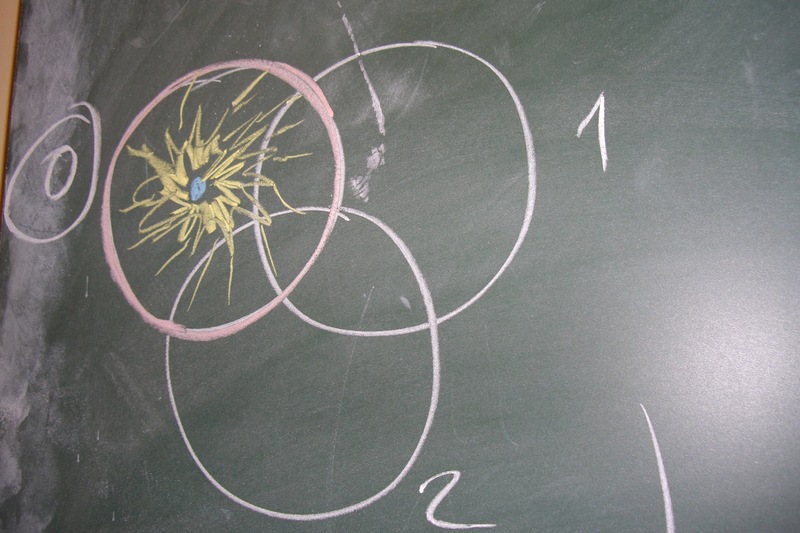 How do you share what you love about math – or any other subject? Check out this cool doodle animation from the blog of Matt Henderson. Matt studied math at Cambridge as an undergrad and now does research on speech and language technology. His idea for a doodle was to start with an equilateral triangle and then encircle it with squiggles until it eventually turned into a square. Matt has all kinds of beautiful and intricate mathematical images on his blog, many of them animated using computer code. He made a similar squiggle-doodle that evolves a straight line into a profile of his face; an animation of rolling a ball on a merry-go-round; a million dot generator; and many more! Next up, check out this cool visualization of a sphere. The title of the video is Spherikal and was created by Ion Lucin, a graphic artist in Spain. Another spherical idea comes from a post on one of my favorite websites: MathOverflow, a question-and-answer site for research-level mathematicians…and anyone else! The question I have in mind was posted by Joe O’Rourke, a mathematician at Smith College and one of my favorite posters on MathOverflow. 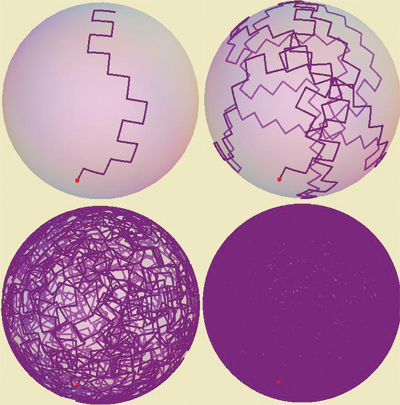 It’s about a certain kind of random walk on a sphere. Check it out! For this step distance, it looks like a random walk will fill up the whole sphere. What about other step distances? Again, such a cool picture is created by translating a mathematical scenario into some computer code! Next, this infographic lets you examine how President Obama’s 2011 budget proposal divvied up funds to all of the different departments and projects of the federal government. Can you find NASA’s budget? On a more personal scale, this applet called “Where did my tax dollars go?” does just that—when you give it a yearly personal income, it will calculate how much of it will go toward different ends. Finally, this applet lets you tinker with the existing tax brackets and see the effect on total revenue generated for the federal government. Can you find a flat tax rate that would keep total tax revenue the same? Whew! That was a lot; I hope you didn’t find it too taxing. Bon appetit!